Simply put: “best friends are not meant to abused”. 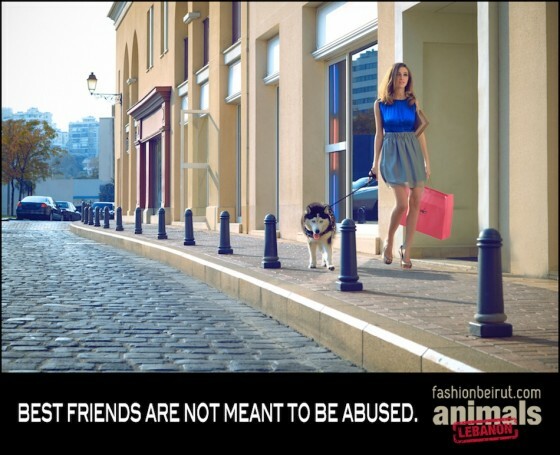 The fashion industry is not known for being friendly towards animals (particularly those of the furry variety), but Fashion Beirut contradicted expectations last month when it created a photo campaign together with Animals Lebanon. The photo campaign shows a fashionable young woman accompanied by a dog (who, if for no other reason, should be well taken care of because he makes a fabulous fashion accessory). The tagline for the campaign is “best friends are not meant to be abused”. 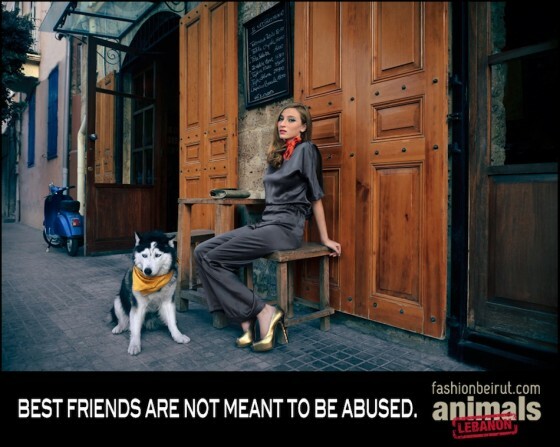 The campaign was produced in part to support the efforts of Animals Lebanon, a Beirut-based organization that attempts to stop circus animal abuse, zoo animal abuse, and the unfair treatment of stray animals.